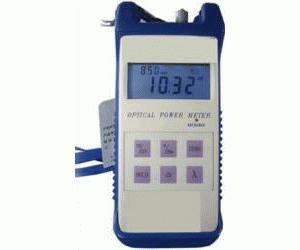 The FCST08111 handheld optical power meter is the oldest portable test instrument in the FCST power meter series. This economical meter features a compact size and ease-of-use. It can be used for absolute optical power measurements as well as loss relative measurement of fiber optic. The FCST08111 is an essential test instrument in Optical Communication, CATV, and other Fiber Optic works.